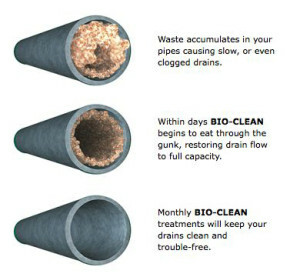 Yes, we clean out clogged drains, but we also strongly advocate using Bio-Clean, a dependable, economical, monthly drain treatment that will help keep your drains clean and trouble-free. When mixed with water, Bio-Clean’s enzymes start breaking down waste on contact. The active ingredient is billions of harmless bacteria that eat drain waste. In fact, the bacterial colony doubles in size every 30 minutes until it consumes everything but the pipes themselves. 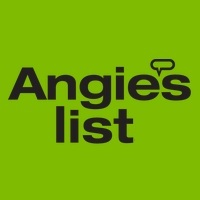 This product is environmentally friendly and perfect for septic systems, basement sumps, sinks, bathtubs, restaurant floor sinks and any other pipe or drain. While chemicals, bleaches, detergents, food preservatives and anti-bacterial hand soaps kill bacterial action within your systems, Bio-Clean restores the helpful bacteria.